After years working with the same person or people, what can start as gentle office banter can develop into full blown office war. This is the story, in photos, of one such war. And the final blow, which ended it all. Rob and I had worked together for a few years on and off by the time we ended up at SNC together. We quickly descended into familiar madness. What started with mild irritations like emptying hole punches into Rob's hat, or removing all the screws from my chair, escalated when Rob decided to take us in a new direction - interior design. Rob's opening volley was this, a fairly mild post-it offensive. Christmas followed soon afterwards, and Rob was not known for festive cheer. 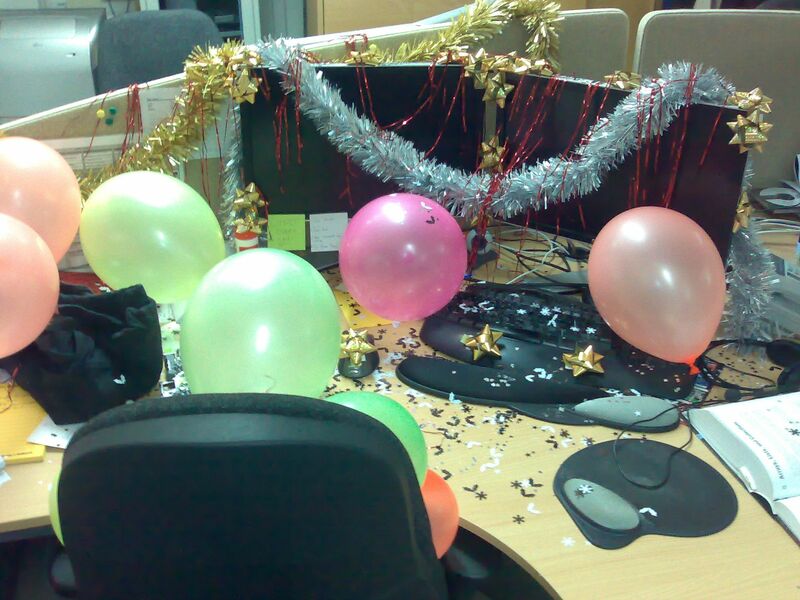 So in an effort to bring a bit of the Christmas spirit into the office, I decorated Rob's desk. I had too many of the tiny silver stars, if you can imagine such a thing, so I emptied one packet into the pocket of his hoodie. What I didn't realise at the time was that the hoodie in Rob's desk was a spare. It wasn't until a year or so later that he took it home and washed it. Without checking the pockets. Rob's clothes have had tiny silver stars in them ever since. 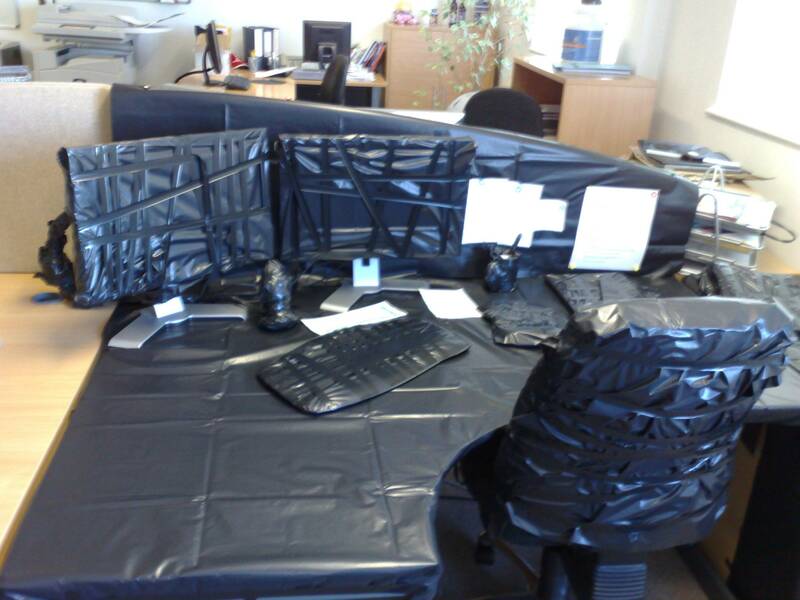 A few months later, and I returned from holiday to find this - my desk, wrapped in bin liners. Very nicely done. Rob had even wrapped all of the items in my drawers individually. He'd even opened up a packet of batteries and wrapped those individually, then the whole packet, then the drawer they were in, then the whole chest of drawers. I needed to kick things up a gear. 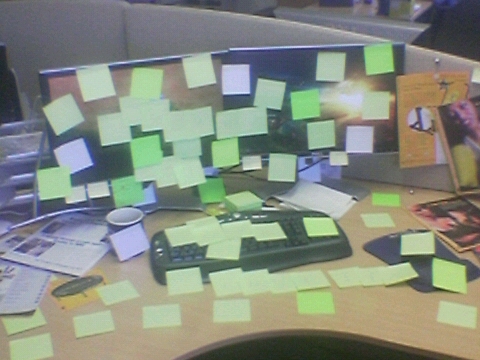 This was Rob's normal desk. I decided there was no alternative - I would have to replace it entirely. And voila, one shopping trip on ebay later, and I had everything I needed. 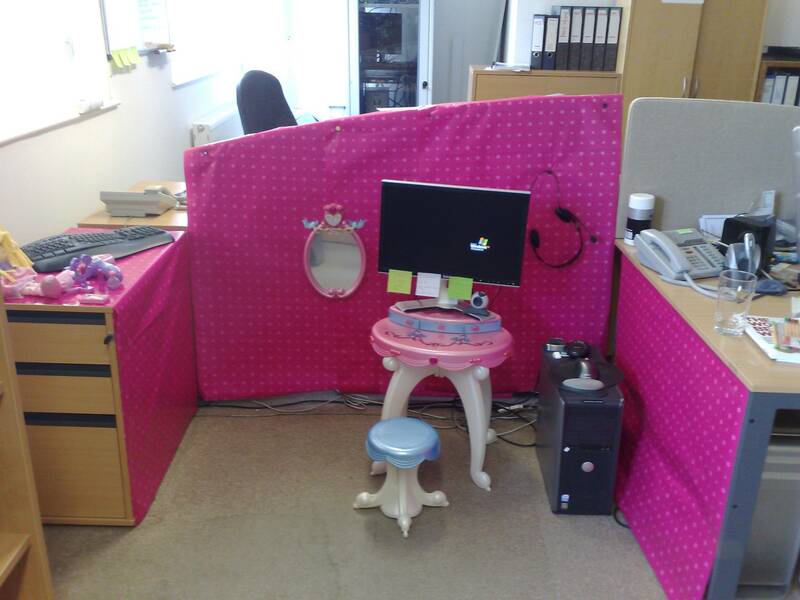 Wallpaper, a desk, a chair, plus a set of hair-management tools fit for a princess. 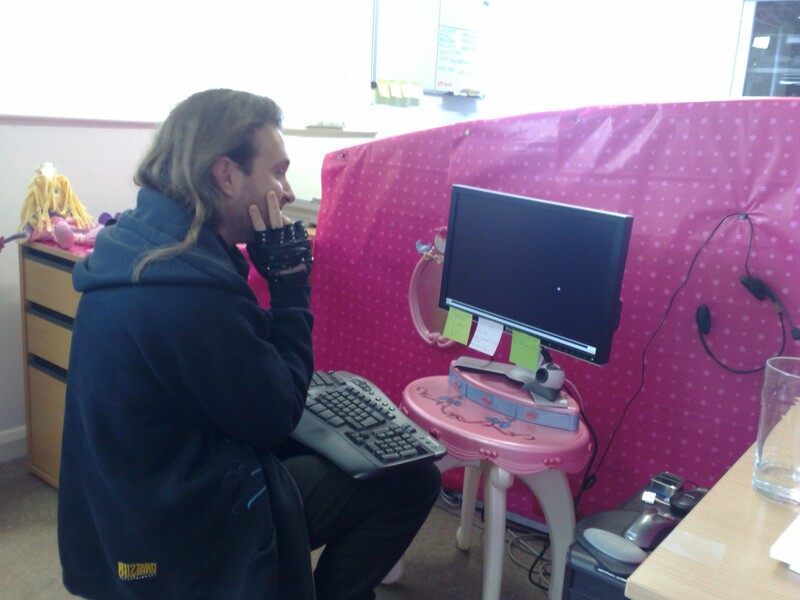 Rob was a good sport, and gave his new desk a good try. 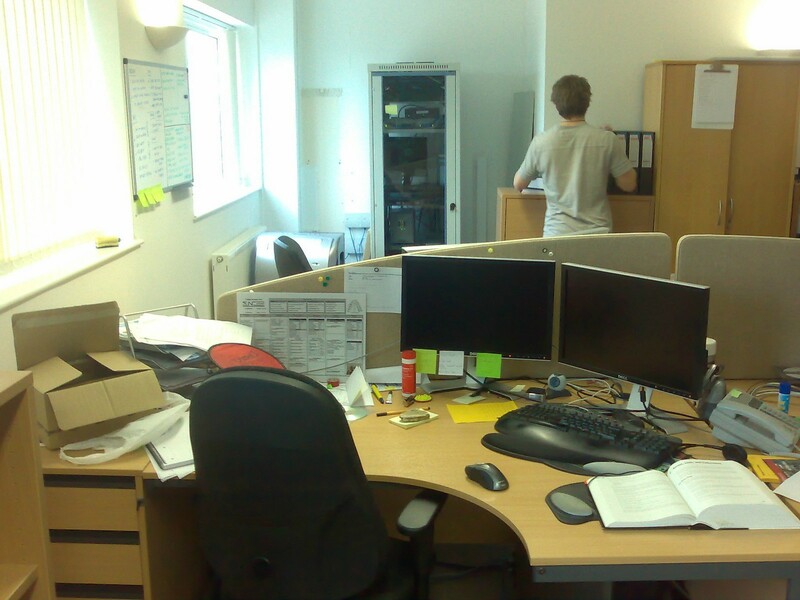 Not that he had much choice, his previous desk had been vanished. Victory is a dish best served pink.